The first thing everyone finds out about me is that I love lists and checklists. Shopping lists, to-do lists, reading lists—I am always thrilled to make them. 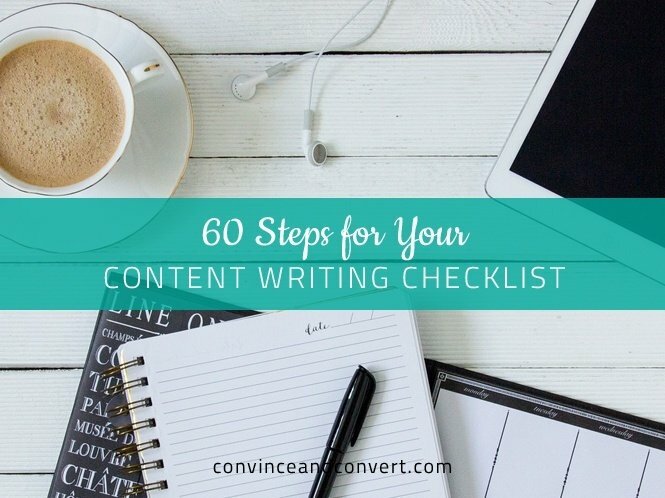 It’d be a shame if I didn’t have a detailed checklist for my #1 activity: content writing. For all my industry peers who face the daily challenge of keeping in mind all aspects of content creation, this list breaks down a content marketing process step-by-step. I bet you know all of them. But I bet my bottom dollar you forget some of them on an incredibly regular basis. And as we all know, repetition is the mother of skill, isn’t it? Before implementation, idea generation comes. (As Yoda would phrase it.) You can’t start a project without clear ideas in your pocket. This is a crucial moment, as the whole content marketing strategy will depend on those ideas. Your idea should take ten steps from generation to implementation (selection, feedback, test drive, corrections, etc.). Being a content marketer, you should understand when a concept is clear enough and ready to be worked on. Below is your checklist to follow once you arrive at this stage. 1. Simplicity – The idea is clear and accessible to your target audience. 2. Surprise – The idea reveals new information and shows something new in your niche. 3. Specificity – The idea has something with which a reader can establish a connection. That something should be real, measurable, and non-abstract. 4. Credibility – Your content is trustworthy. Concept, web design, layout, formatting, images, symbols—they all build trust in your resource. 5. Emotions – Your content sparks emotion in your readers. 6. Story – You have a detailed story or concept that explores something bigger than funny cat images. 7. You are sure your idea will not look like advertising or promotion of your product or service. 8. 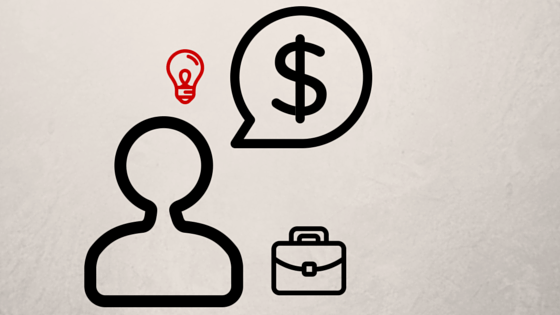 You can be an author of your content, or you can outsource it to content writers. 9. Your content fits the technical requirements of your website. 10. Estimated cost and time spent are within the limits of your budget. 11. You’ve set some time aside for a case of emergency. 12. You’ve set the primary and secondary key performance indicators (KPI) based on your purposes and requirements. 13. You are sure your content will meet or exceed your KPI. 14. 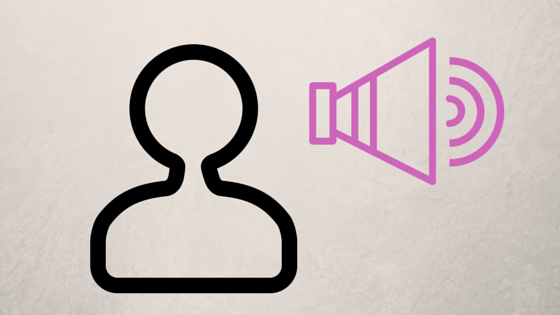 You’ve made sure your content will attract a significant part of your target audience. 15. You’ve made sure your target audience will take actions (share your articles, like them, subscribe, comment on them, etc.). 16. Your content corresponds to your corporate style. Don’t rush to launch your project! Being a marketer, you understand what your target audience needs, and your task is to write content that meets those needs. Make it look user-friendly for visitors to accept it. The pre-launch stage of your project is time-consuming, and it will demand a high level of concentration. Every detail is important here, so you’ll need to keep in mind many small but essential details. 1. Headings match the content style. 2. Headings are short but cover the topic. 3. They attract and excite interest. 4. They contain necessary keywords (SEO). 5. The text is the appropriate length for the content type. 6. Text is in agreement with the headings and writing hooks to meet readers expectations. 7. Your content is compelling to satisfy both readers and search engines, as they determine how relevant your content is. 8. Your article is easy to find in search engines. It’s indexed and well-optimized. 9. You’ve proofread the text, and there are no spelling, grammar, or punctuation mistakes in them. 10. Your text is well-formatted: subheadings, paragraphs, spaces, etc. 11. All media are of high quality and do not affect page load speed. 12. You don’t go too far with images and videos, and they do not distract users from reading your content. 13. All files are relevant to the content and focused on the interests of your target audience. 14. Your media files do not violate any copyrights. 16. All media files change size in keeping with the extension of users’ screens (responsive). 17. Your content provides links to authoritative websites, loved by search engines. 18. Your content doesn’t contain too many links that make it hard to read. 19. Your content is designed and structured in a way that allows users to take action. 20. You have share buttons, and they are easy to notice. 21. Share buttons are arranged to be easy to find while reading your content from different devices and browsers. 22. You haven’t forgotten buttons to subscribe to your social accounts. 23. Your articles have a hook at the beginning and a call-to-action in the end. 24. Posting and promotion don’t take place during holidays. 25. You publish posts during times of peak user activity. 26. You’ve set a publication schedule that maximizes efficiency, and you’ve planned your time accordingly to cover your target audience. 27. Your content looks awesome in all browsers and mobile devices. 28. You haven’t forgotten about meta descriptions. 29. Your content does not contain huge files, oversized images, and other stuff that may affect load time. 30. You’ve set all metrics necessary for further analysis. 31. You’ve chosen the semantic core and key phrases for your content. 32. You’ve tested the final draft in all browsers to make sure it looks and works as you planned. 33. You’ve checked your post, including headings and meta data, for typos and grammar mistakes. 34. You’ve made sure your content is more informative than your competitor’s post. 35. You’ve shown your content to one or several users who do not work on your project. 36. You’ve demonstrated your content to several users within your target audience to get feedback. 37. 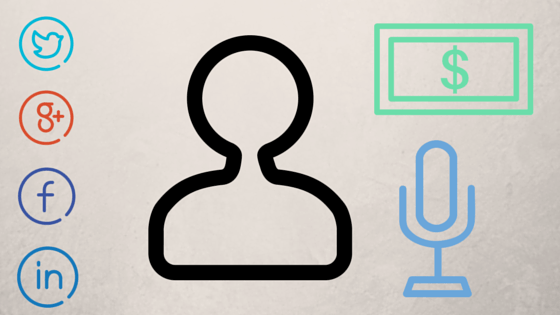 You’ve sent out content teasers and previews to resources where your target audience meets. 38. You’ve organized a “premiere” of your content for bloggers and thought leaders to get reviews. 39. You’ve made sure your content is exclusive. 40. You’ve protected your content from plagiarism with the help of special tools. This is the most interesting and significant stage of your project. It’s as clear as day that you can’t simply post your content and forget it, under the illusion that your visitors will promote it. They may—or they may not. Are you sure you’ve provided them with everything to do so? The post-launch stage of your project is not only about the audience, but your actions, too. For the web to disseminate your content, they have to know about its existence. Share, report, and curate your content to make sure your community is aware of its presence online. 1. You’ve posted it to your blog, and you haven’t forgotten to share it with other relevant websites. 2. You’ve duplicated that content (posted links to it) on all corporate accounts. 3. You’ve sent your post to one of the most authoritative websites among your target audience. 4. You’ve sent included it in newsletters. 5. You’ve replied to everyone who has shared your content or commented on it. 6. You’ve recommended your content to everyone who might be interested in it: groups, forums, communities, etc. 7. You’ve measured your content performance, according to primary and secondary KPIs specified in your idea generation stage. 8. You’ve collected all the data about your content’s performance. 9. You’ve compared the reality of your content’s success with all expectations you had during the pre-launch stage. 10. You continue to watch your content, using plagiarism checkers to protect it. 11. You keep an eye on competitors’ content. 12. You continue to monitor the relevance of the information in your content. 13. You respond to all comments and feedback. I’m sure I’m not the only content writer who follows these three stages of successful content creation and distribution. And I know that opinions differ. If you’re not satisfied with your content’s effectiveness, or if you’ve been waiting to revamp your content creation process, try this checklist for yourself on your next assignment.